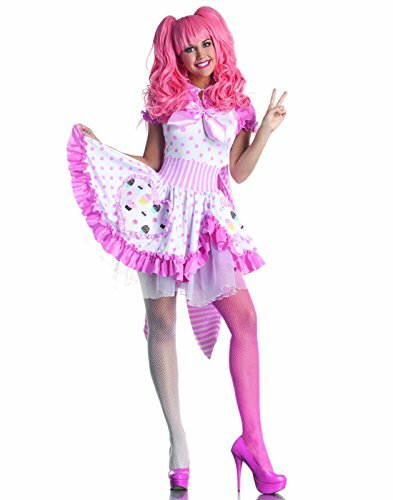 Look pretty in pink in this cute Harajuku Girl women's costume from Party King. 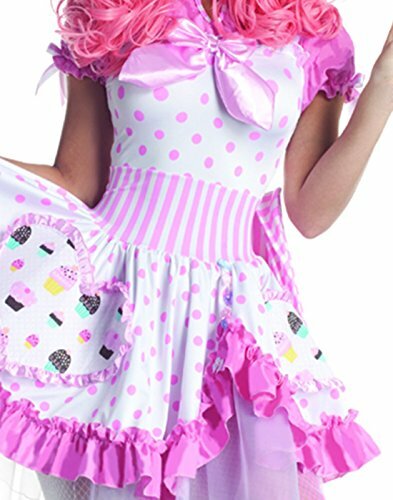 Features a white dress with light pink polka dots, stripes and cupcake prints. 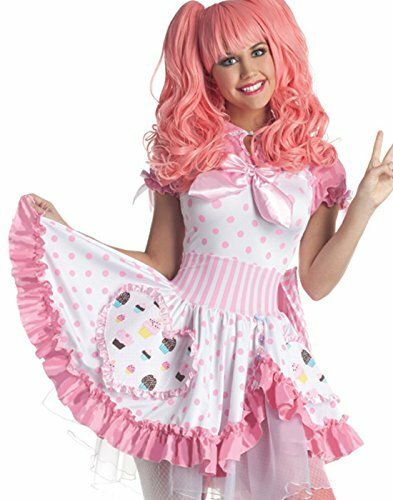 Dress has keyhole front and oversized bow details on front and back. Dress features keyhole front and oversized bow details on front and back.